In this eye-opening, adventurous book, she takes us on a tour of the world's scariest experiences: into an abandoned prison long after dark, hanging by a cord from the highest tower in the Western hemisphere, and deep into Japan's mysterious "suicide forest." She even goes on a ghost hunt with a group of paranormal adventurers. Along the way, Kerr shows us the surprising science from the newest studies of fear-what it means, how it works, and what it can do for us. 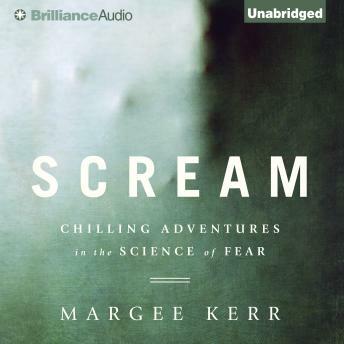 Full of entertaining science and the thrills of a good ghost story, this audiobook will make you think, laugh-and scream. Amazing book. The examples and application of theory was superb. The author has conducted a ethnographic based analysis that provides bigger theory in digestible formats. The material was well described and eloquently completed. This book is on my list of favourites now. The spread of sociology in a format that provides any audience to be able to listen without monumental amount of education is a benefit to the community of knowledge.